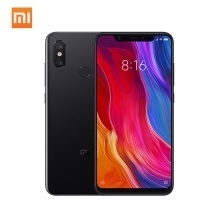 The Xiaomi Mi 8 smartphone features a 6.21 inches screen with a resolution of 2248 x 1080p.It runs on Android v8.1 (Oreo) operating system, powered by Snapdragon 845 Octa-core processor, clocked at 2.8 GHz of speed and has Adreno 630 GPU. Moreover, the super stylish handset supports 2 Nano SIMs at a time and packs a battery capacity of 3400 mAh. For photos, the phone has dual 12 MP rear cameras with AI dual camera with optical zoom, auto flash and face detection features. On the front, users get 20 MP selfie camera with AI portrait mode and 3D Beautify. The phone comes in 6GB of RAM and up to 128GB of internal storage. The connectivity options in the smartphone include Hotspot, BT, Wi-Fi, GPS and 2G, 3G and 4G Network Type. Battery: Built-in rechargeable 3400mAh （typ）/ 3300mAh (min), Supports Quick Charge. Other Functions: 4G dual SIM, BT5.0, Face ID Fingerprint, USB type-C,2.4G/5G WIFI, GPS, etc. 1. Is it Global Version or not? YES, Xiaomi Mi 8 is a Global Firmware phone, supports OTA upgraded, multi-language. Support GOOGLE PLAY, Facebook, youtube, etc. 2. Will this Phone Network Frequency works in my country or not? If you don&apos;t check it, we will not take any responsibility of this issue. 3. What&apos;s the Languages of Xiaomi Mi 8? Support Global Multi-Languages, you can refer to the Screenshot of languages. Comes with original EU Plug. Multilanguage Please refer to the Screenshot of languages. Other Features Ebook, Radio Tuner, Messaging, Wallpapers, Calendar, Calculator, Clock, etc.